Nature is remarkable and that is never more apparent than during autumn in the Finger Lakes, as the breathtaking landscape of the region is transformed into a spectacle of color, as farms and wineries burst with the bounty of harvest. Explore small towns where you’ll find one-of-a-kind antiques, locally made arts and crafts, exciting specialty shops, delicious seasonal craft beverages, annual harvest events, and fun trails that bring together some of the best chocolate, history, and glass arts to be found. Waiting for the leaves to reach peak color before heading out on an autumn adventure? 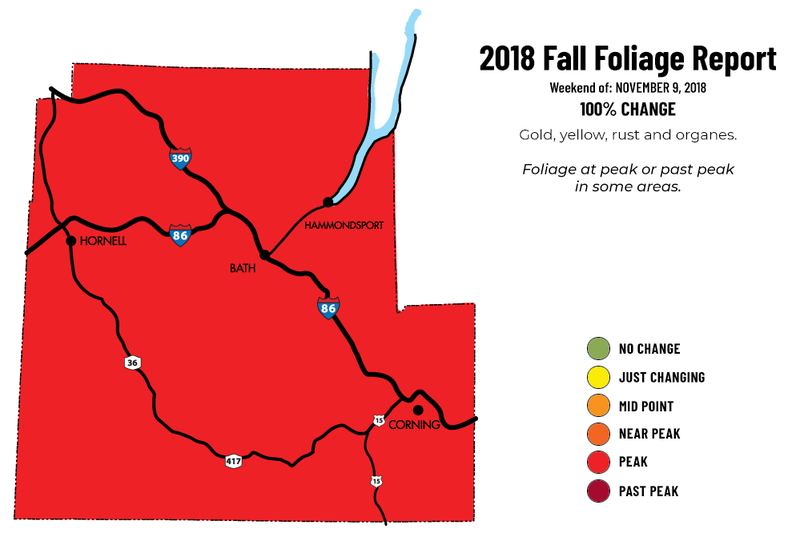 Check back each week for an updated fall foliage report for the Finger Lakes Region. The cool evening temperatures in contrast with the warm days, the moisture in the air, and the variety of native tree species all play a role in the unique and colorful transformations seen here each fall. Take in the landscape, speckled with bright red, orange, and yellow leaves, on one of these scenic drives through the Finger Lakes Region. Itineraries are loaded as PDF files for saving & printing! Corning and the Southern Finger Lakes also has a great lineup of events this fall, including annual festivals, Halloween-themed fun, and one of the most popular marathons in the Northeast. 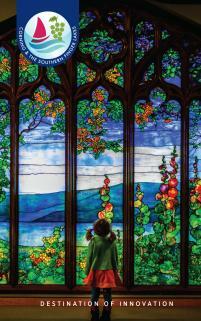 Come celebrate fall in one of the most beautiful regions of New York State!